Twilio is one of the SMS text messaging providers compatible with Connect. Next, in Connect, go to Settings > Providers and click Add new provider. 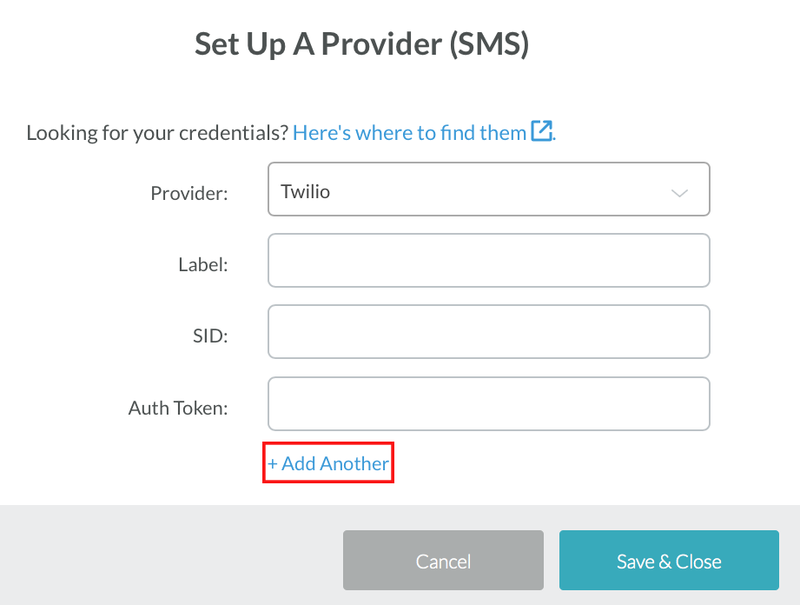 Select the option for Voice & SMS, make sure the provider field is set to Twilio and then paste in your Account SID and AUTH token..
For additional details on Twilio's AUTH tokens, you can visit their article here. You're now set up to send text message campaigns! Build your first Trigger-Based Campaign. Setup APNS (Apple) or FCM (Android) Push Notifications.